If you follow us on Facebook, you’ve likely noticed a series of KFUO interviews with many of the authors from He Restores My Soul. There are currently eight 15-minute interviews posted, with two new interviews added each week through the end of October. Be sure to begin with the first in the series, where Katie Schuermann explains the purpose and structure of the book, specifically how each chapter ties into a verse from Psalm 23. 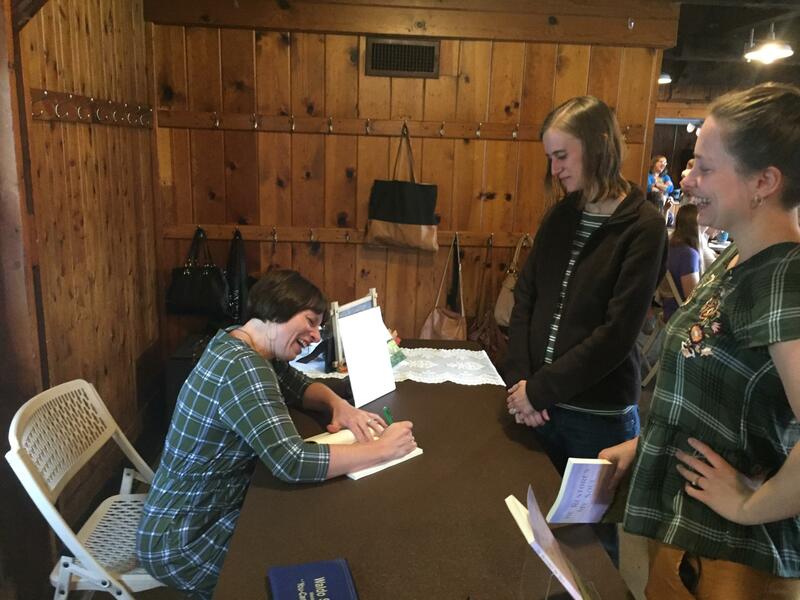 Finally, we are entering the season of book signings! 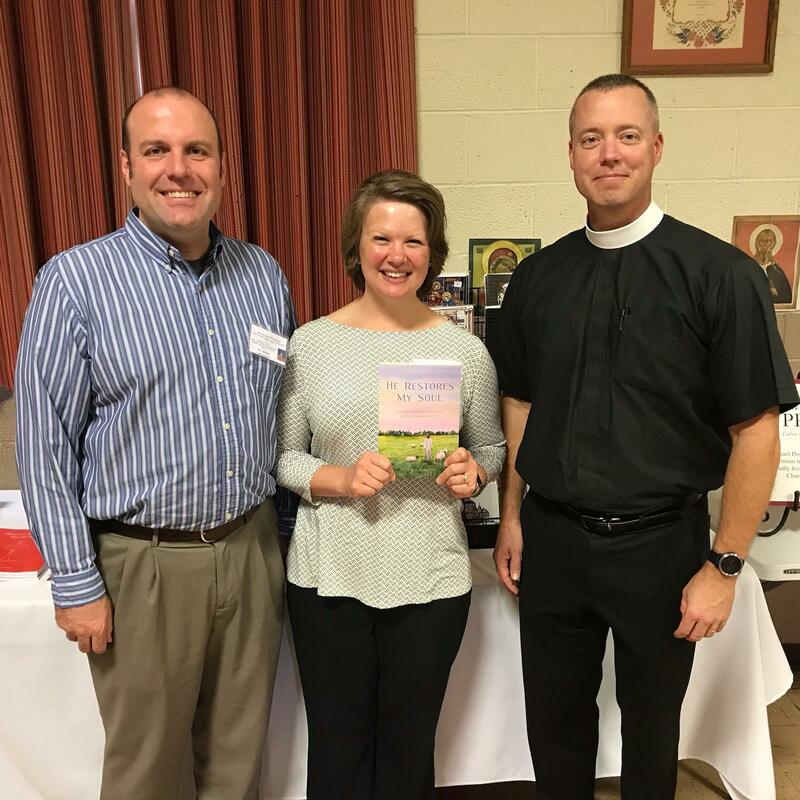 Christina Roberts (left) recently spoke about hymnody to the Seminary Women’s Association of Concordia Theological Seminary, signing books over the lunch hour. And Katie Schuermann and her husband turned up at the annual Oktoberfest in Kewanee, Illinois, this week. Here they are pictured (right) with Rev. Michael Frese of Emmanuel Press.